Named after a local aristocratic family, the Sickingentreff is the Palatin’s quick-change artiste. 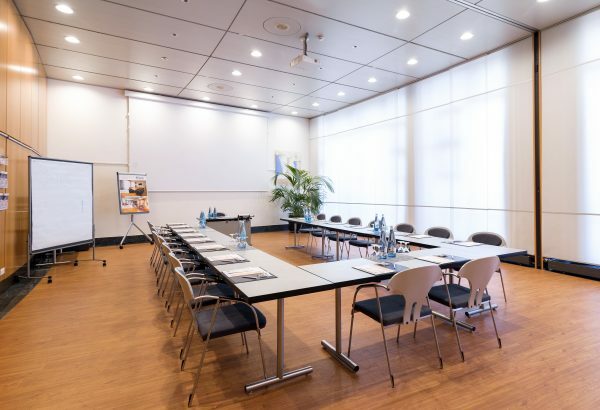 Two soundproof partition walls allow the space to be divided into three separate rooms. The ceiling-high windows are insulated and have a shading feature. Accessed via a double-door, the adjoining Small Foyer can be used for buffets or as dance floor, as a reception area for participant registration or for our inspirational coffee breaks.